Two-dimensional (2D) transition metal dichalcogenides (TMDs) have gained much attention in virtue of their various atomic configurations and band structures. Apart from those thermodynamically stable phases, plenty of metastable phases exhibit interesting properties. To obtain 2D TMDs with specific phases, it is important to develop phase engineering strategies including phase transition and phase-selective synthesis. Phase transition is a conventional method to transform one phase to another, while phase-selective synthesis means the direct fabrication of the target phases for 2D TMDs. In this review, we introduce the structures and stability of 2D TMDs with different phases. Then, we summarize the detailed processes and mechanism of the traditional phase transition strategies. Moreover, in view of the increasing demand of high-phase purity TMDs, we present the advanced phase-selective synthesis strategies. Finally, we underline the challenges and outlooks of phase engineering of 2D TMDs in two aspects—high phase purity and excellent controllability. 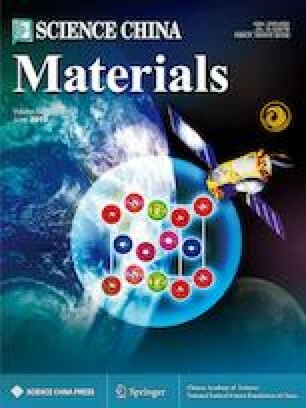 This review may promote the development of controllable phase engineering for 2D TMDs and even other 2D materials toward both fundamental studies and practical applications. Yao Xiao received his BSc degree in chemistry from Wuhan University in 2016 and continued as a PhD candidate under the supervision of Prof. Lei Fu at the Institute of Advanced Studies at Wuhan University. His current scientific interest focuses on the special growing phenomena and electronics of 2D materials and heterostructures. Mengyue Zhou received her BSc from Huazhong Agricultural University in 2017 and continued her studies as a master candidate under the supervision of Prof. Lei Fu at the College of Chemistry and Molecular Sciences at Wuhan University. Her current research interest is the controllable growth of two-dimensional material. Jinglu Liu is pursuing her Bachelor’s degree from the College of Chemistry and Molecular Science, Wuhan University. Her current research focuses on the synthesis of 2D transition metal dichalcogenide materials. Lei Fu received his BSc degree in chemistry from Wuhan University in 2001. He obtained his PhD degree from the Institute of Chemistry, Chinese Academy of Sciences in 2006. Then he worked as a Director’s Postdoctoral Fellow at the Los Alamos National Laboratory, Los Alamos, NM (2006−2007). Thereafter, he became an Associate Professor at Peking University. In 2012, he joined Wuhan University as a Full Professor. His current interest of research includes the controlled growth and novel property exploration of 2D atomic layer thin crystals. 二维过渡金属二硫族化合物因其多样的原子排布和能带结构而备受关注. 除了热力学稳定的相之外, 许多亚稳态相的过渡金属二硫族化合物也表现出有趣的性质. 为了获得特定相的二维过渡金属二硫族化合物, 相工程策略(包括相转变和相选择合成)凸显的十分重要. 在本文中, 我们首先介绍了不同相的二维过渡金属二硫族化合物的结构和稳定性. 接着, 我们总结了多种相转变策略的详细过程和机理. 此外, 由于对过渡金属二硫族化合物相纯度的需求不断提升, 我们也展示了新型的相选择合成策略. 最后, 我们从相纯度和可控性两个方面指出二维过渡金属二硫族化合物相工程面临的挑战, 展望了相工程策略在可控获得高相纯度过渡金属二硫族化合物的前景. 这篇综述将促进二维过渡金属二硫族化合物及其他二维材料的可控相工程在基础研究和实际应用方面的发展. This work was supported by the National Natural Science Foundation of China (21673161 and 21473124), the Science and Technology Department of Hubei Province (2017AAA114), and the Sino-German Center for Research Promotion (1400).